One of the biggest challenges to meal planning is when your food preferences don’t match those of the people you cook for. My husband says that I like frouffy food. That apparently isn’t his favorite. When we got married, I had to completely rework my meal planning. The new foods I was discovering graced the pages of Bon Appetit or the menus of high-end Santa Barbara restaurants. 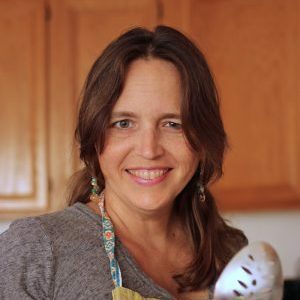 The recipes of my childhood featured things that he was adamantly opposed to eating; my mom’s chicken enchiladas were sauced processed cheese, sour cream, and canned chili. Most of the casseroles I loved from my early years featured cream of mushroom soup. Now, I’m with him on the canned soups and shelf-stable cheese, but sometimes it’s frustrating not to get the frouffy past him and/or the six kids. 1. Make meals that everyone loves. We waste less and enjoy our time a table more when we prepare meals that everyone loves. There are plenty of those options, so it works a lot of the time. Ask your people what they really love. This answer can change from time to time. 2. 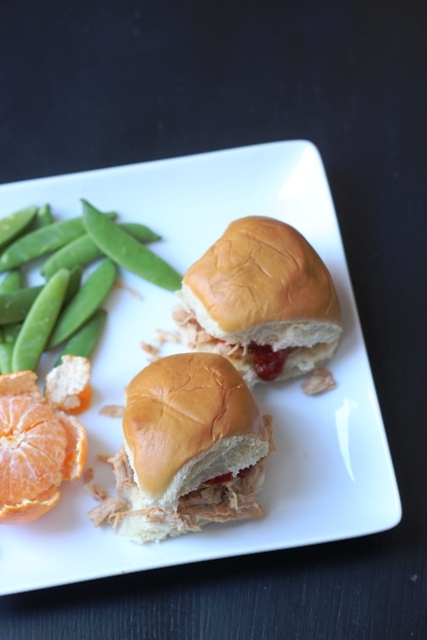 Make meals that can be served as a buffet. Often I serve burritos, nachos, tacos, even pizza set up in a way where my people can customize their meals to suit their preferences. I get it my way, they get it theirs. 3. Make meals that challenge them. It’s okay not to “love” every meal you eat, provided that it’s nourishing. 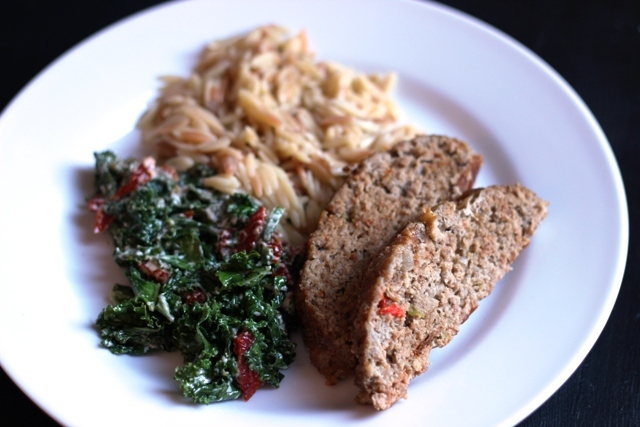 It’s a good thing to plan an adventure meal for your family on a weekly or monthly basis. Yes, really. That’s the only way that we learn new flavors and expose ourselves to new foods. Doing this at a restaurant often seems to help. Gramma’s house is even better. 4. Make them eat bread and jam. One of my favorite children’s books is Bread and Jam for Frances by Russell Hoban. (Psst. That’s an affiliate link.) In the story, big sister Frances refuses to eat anything new. She insists that she only wants to eat bread and jam. So her parents let her. Until she’s absolutely sick of the stuff. Surely, there are children and spouses who could eat the same old, same old every day. I think eventually most people want a change. Be ready with some new and interesting foods to tempt them with. Meal planning shouldn’t be painful. It should be a fun chance to creatively do something that everyone has to do: eat. 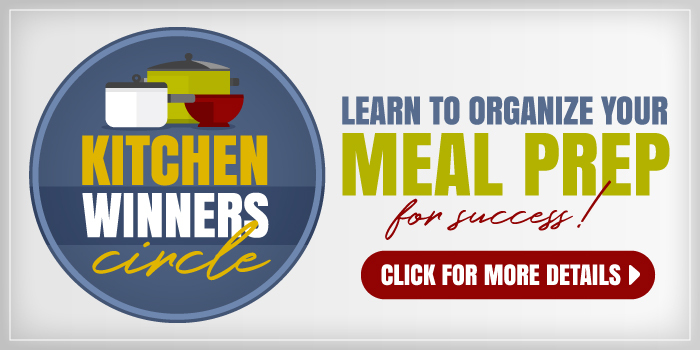 This post is part of a larger series, teaching you everything you need to know about meal planning. Check out all the posts here. 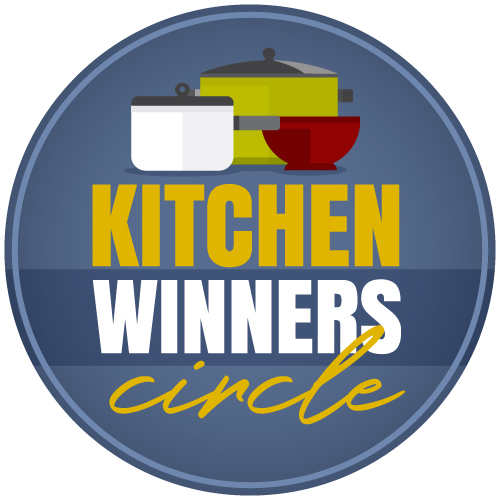 Don’t forget to submit your meal planning questions. I’ll be answering them over the next few weeks. 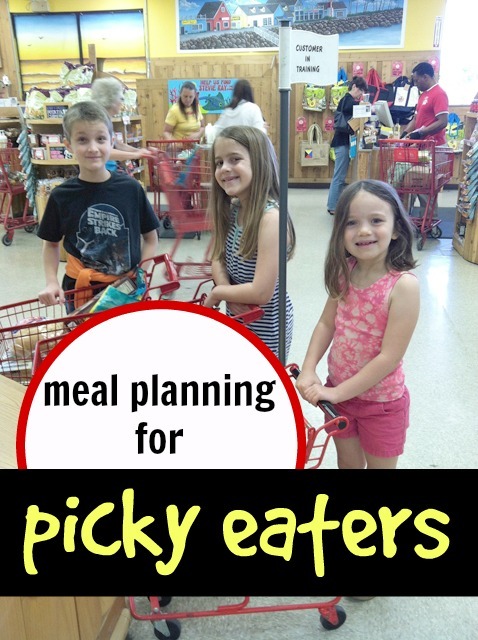 How do YOU plan meals for picky eaters? 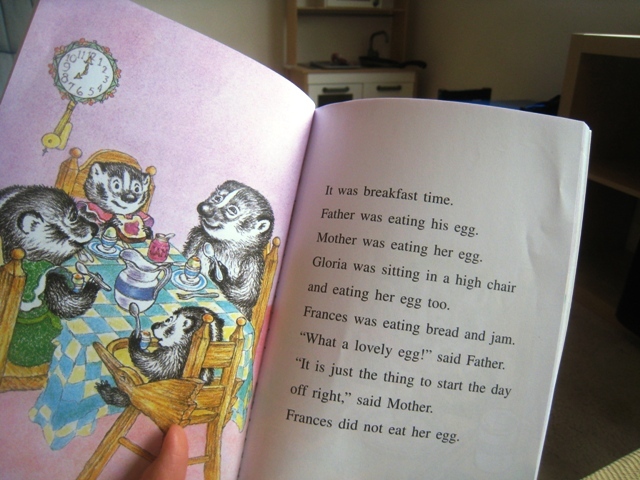 I have to say, as a child [and a picky child at that] Bread and Jam for Frances was one of my favorite books. My youngest also loves it and put a finger on why we both adored it so – those elaborate lunches, with little baskets of cherries, a tiny shaker of salt, a small pot of this and a that and another thing! So elegant! So adorable! In fact, she has a laptop lunchbox we sometimes use for what we call ‘frances lunches’ . . . in fact she had a frances lunch today at home – a scoop of tuna salad, with a cute little poppy seed roll toasted and buttered, a small cup of banana yogurt with a pink spoon, a few carrots and a small arrangement of pepper strips . . . I know my philosophy might seem hard-line, but I advise parents to serve up whatever it is THEY want the family to be eating so that their children get continuous, repeated exposures to a really wide variety of textures and flavours. You acknowledge the value of challenging picky eaters’ palates, but I feel that to do so only on a weekly or monthly basis is nowhere near enough. Predominantly serving up food that you know will be acceptable to picky eaters will make the problem worse. I am a huge fan of Rusell Hoban, but I would also advise steering well clear of the bread & jam! let children’s natural appetite direct their eating choices. I think the idea of guiding your family’s food culture is super important. Thanks for making that point. My son (who is a week off three) is what I would have considered a very picky eater not that long ago. I always dished him up our dinner first, but if he didn’t eat enough to get him through the night – then his dinner would finish with a plate of plain porridge! This went on for months, but eventually he got bored and started eating more and more off his plate. He is a lot better now, although sometimes we still have to resort to the porridge again… However he is now, in our house, considered old enough to go to bed hungry if he decides not to eat dinner – both my children have tonight, after refusing to eat Chicken Fried Rice, a dish they have scoffed down in the past *sigh*! I just wanted to pop in and thank you for this series, Menu Planning is my nemesis; life is so much sweeter for it, yet I still struggle to organise myself enough to do it regularly!